This column is about US Secretary of State John Kerry’s recent visit to India and the new peace initiative for Afghanistan. Kerry visited India to participate in the fourth round of the India-US strategic dialogue. The dialogue was held soon after the opening of US-Taliban peace talks in Doha. The Indians were not too happy at this development, as they found themselves sidelined. The US Secretary of State had to do some explaining to them and seek to dispel their apprehensions. There would be no compromises, he said, with the “red lines” meaning certain conditions, which the Taliban must adhere to, viz Taliban’s break with al-Qaeda, renouncing violence and accepting Afghanistan’s constitution. Kerry was not quite right as after an earlier exchange, it was agreed by the State Department that these would not be “preconditions” but “outcomes”. Despite the various agreements and partnerships inclusive of nuclear status and supplies, space, health, clean energy, defence, counter-terrorism, etc, New Delhi has not been too keen to acknowledge the favours done to it by Washington. Just read how an Indian columnist, Indrani Bagchi, assesses Kerry’s visit to India in Economic Times/Times of India: What did one make of John Kerry’s whirlwind run-through of the India-US strategic dialogue? ‘Well, we didn’t expect much, so we were not disappointed’ runs the dominant response in this city. On paper, the bilateral relationship is almost universal in its reach. Innovation, space, health, clean energy, defence, counter-terrorism. The US too has moved from the extensive vision of the Bush years to becoming a transactional power under Obama. Possibly, the only worthwhile conversation at this point is the dialogue on defence technology that NSA Shivshankar Menon is holding with Ash Carter. Menon has to steer the defence-strategic relationship from a buyer-seller one to one that is more equitable……In their haste to turn off the lights in Afghanistan, the US will find another way to talk to the Taliban to bring them on board in Kabul, with a “ruinous deal” with Pakistan. Look closer home. India should push an investment treaty with the US, using it to straighten out its internal investment strategies and launch the next round of economic reforms. Strategically, let’s look at the Indo-Pacific as the theatre for the next big deal. Notwithstanding China’s categorisation of the Xi-Obama meeting at a ‘New Type of Great Power Relationship’, India and the US have the greatest strategic alignments there. Let’s not get spooked by G-2 either – the bald truth is ‘rebalancing’ is a China-hedge strategy. As for Afghanistan, the Indian view has been, thus, well-expressed by Samir Saran and Abhijit Mittra in Economic Times/Times of India: “While John Kerry lauded India’s role in his June 23 speech in New Delhi, events of the last 90 days tell a very different story; one in which the US disregards the concerns of both India and the Afghan government and continues to woo the Pakistani military establishment. The US actions have allowed the Taliban to formally open an office in Qatar for direct negotiations, which the Taliban see as the first step towards a new emirate. “The victory of Nawaz Sharif in Pakistan, in collusion with fundamentalists, allows radicals in that country certain influence over the civilian government and the military’s shadow over foreign policy looms larger and stronger as the US consolidates General Kayani’s pivotal role, established by a hurried and reckless K-3 meeting (Kerry, Kayani, Karzai). “India’s Afghanistan policy has historically always been long-term and more than capable of absorbing reverses in the short to medium term. It cannot be coy in providing soft and hard military support to its friends, and it must not be seen as an unreliable and indecisive partner. India has in the past succeeded in maintaining Afghanistan as a viable partner for over 60 of 67 years of bilateral history. “After 1997, India continued to support the Northern Alliance in the hope of better times. That time came in 2001, when, following the US invasion, a government whose core elements had been supported by India, were installed in power. India in 2014 is not the economic cripple it was in 1991; a $290 billion reserve buys more loyalty and battle resilience than 15-day currency reserves. 1. After the return of the combat forces in 2014, the US will continue to keep a certain number of well equipped troops in Afghanistan. And the Taliban will continue creating difficult conditions for them. 2. The post-American exit scenario looks murky and uncertain. Pakistan must devise well thought out policies in regard to different emerging situation. 3. The initiative to forge an understanding with the Northern Alliance must continue with a view to securing positive results. 4. India has invested billions of rupees in Afghanistan. Both Kabul and Washington want it to play a significant role in the post-2014 Afghanistan. Karzai has already sealed a strategic partnership with India and Afghan army personnel are being trained by Indian military experts. India’s interests just cannot be ignored. These, to some extent, may have to be accommodated with Islamabad safeguarding its own interests. 5. It is time that a settlement with the Pakistani Taliban is negotiated jointly by the civil government and the military. 6. A competent retired diplomat should be immediately appointed as a special envoy for Afghanistan. He may pilot Pakistan’s case and look after its interests in the US-Afghanistan-Taliban negotiations. While John Kerry lauded India’s role in his June 23 speech in Delhi, events of the last 90 days tell a very different story; one in which the US disregards the concerns of both India and the Afghan government and continues to woo the Pakistani military establishment in search of its elusive salvation. The US actions have allowed the Taliban to formally open an office in Qatar for direct negotiations, which the Taliban sees as the first step towards a new emirate. The victory of Nawaz Sharif in Pakistan, in collusion with fundamentalists, allows radicals in that country certain influence over the civilian government and the military’s shadow over foreign policy looms larger and stronger as the US consolidates General Parvez Kayani’s pivotal role, established by a hurried and reckless K-3 meeting (Kerry, Kayani, Karzai). Consequently, India has nowhere to hide. Three eventualities have to be prepared for in Afghanistan, possibly unfolding concurrently. The first is a Karzai government under severe pressure from a heavily armed Taliban backed by the new mandate available to the civilian and military leadership in Pakistan. The second is a Taliban takeover of Kabul. The third is some form of dismemberment of the country again. Each of these eventualities leads to India having to shoulder a greater share of the blowback, than the western countries that seek to drive the current agenda. 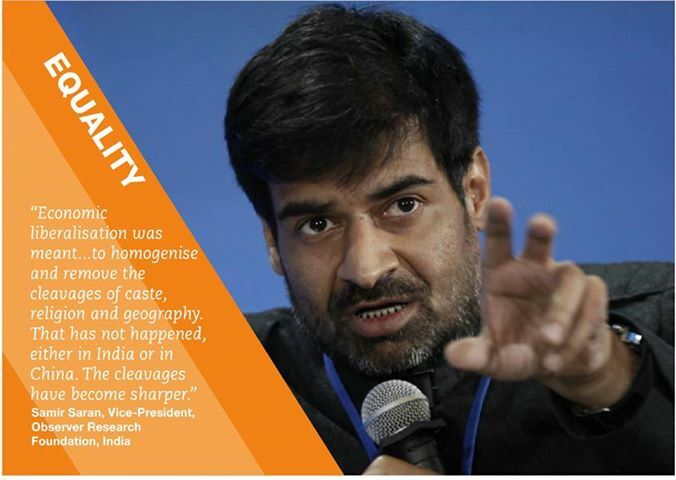 India’s exclusion is symptomatic of the short-termism that has plagued western policy that has sought to create a closed information loop to filter out inconvenient truths. The problem is, as history repeatedly shows, an unstable Afghanistan destabilises the region. Importantly, as 9/11 showed, it also has the potential to threaten western power centres. Yet it would seem nothing has been learnt and India would need to very quickly write its own script again. India’s Afghanistan policy has historically always been cold, calculating, uncompromising, long-term and more than capable of absorbing significant reverses in the short to medium term. Its response today must also support those who it does business with in Afghanistan. It cannot be coy in providing soft and hard military support to its friends and it must not be seen as an unreliable and indecisive partner. India has in the past succeeded in maintaining Afghanistan as a viable partner for over 60 of 67 years of bilateral history. Wading through the precarious years starting 1989 and through the economic crisis of 1991, India still managed to support one dispensation or another that held inimical forces at bay till 1997. After 1997, India continued to support the Northern Alliance in the hope of better times. That time came in 2001, when, following the US invasion, a government whose core elements had been supported by India, were installed in power. Pakistan, in spite of its advantageous geography, had succeeded in pacifying Afghanistan for just four to six years at best. Anybody with a cursory knowledge of the region will know that it takes a lot more than common borders to manage bilateral relations. Going into a winning war is easy but wading into uncertain waters to safeguard vital interests is the true test of realpolitik. That is why India’s Afghan gambit must be gutsy and counterintuitive. Given the high stakes and high probability of failure, too much talk is counterproductive and blueprints for the post-2014 chaos that will be Afghanistan are urgently needed. India in 2014 is not the economic cripple it was in 1991; a $290-billion reserve buys more loyalty and battle resilience than 15-day currency reserves. Over the last 12 years India has worked exceptionally hard to win over significant pockets of support among the Pashtuns. Unlike the 1990s when India’s support base was the ethnic minorities, support for India is now deeper and wider. Taliban 2.0, therefore, will find a house divided, facing the enemy without and also within. India has four consulates in addition to the embassy in Kabul. These are the prime nodes of aid dispersal, which is counted as the most effective of any country’s efforts there. The nearly $2 billion dispersed so far have gone to infrastructure, agriculture and education, especially self-sustaining schemes at the village and micro levels in Pashtun areas. It is precisely these schemes that connect India directly to the Pashtun’s day-to-day life and make India a friend in their view. It will be Pakistan’s inability to deliver â€” systemically and financially â€” on this score that will make Pakistan the outsider. Afghanistan post-2014 must not by default become a neutra-lised backyard of Rawalpindi and its proxies. Any interference must necessarily require significant injections of Pakistani treasure and blood. India could lay for Pakistan the same trap that the US laid for the Soviets in Afghanistan. If Pakistan marches in directly or by proxy it gets bogged down and alienates any residual western sympathy. If Pakistan does not, it loses the prize. Win or lose by default Pakistan loses and win or lose by default India is likely to succeed. The writers are vice-president and programme coordinator, respectively, at the Observer Research Foundation. through which it aims to unbundle facets of the country’s distorted growth narrative. 22 (USD 0.5 and USD 0.4) for urban and rural areas respectively, National Sample Survey data from household surveys conducted in 2009-10 reveal that 22.98 per cent of India’s urban population and 36.58 per cent of its rural population spend less than the approximated poverty line (Table 1). Meanwhile, India’s ‘emerging’ identity, which derives from its significant middle class, is also exposed for what it is. Only about 4 per cent of India’s population earns more than INR 100 a day (approximately USD 1.8 a day in nominal terms). The rural urban divide is also particularly prominent and can be observed throughout this paper. 13. The fundamental assumption about GDP growth, echoed by Indian policymakers has been that faster GDP growth is a prerequisite to reducing poverty and concomitantly, enhancing development99. Such views are reflections of a wider international consensus that “there is every reason to believe that economic growth reduces poverty”100. In this case, the converse argument also holds, and every percentage point slowdown in India’s GDP growth impacts the sustenance prospects of millions of rural and urban poor. safe therefore, to infer strong causality between income classes and social groups104. 1.8) day have access to electricity for domestic consumption, over 35 per cent of those who spend less than INR 28 (USD 0.5) in rural areas, still have no access to electricity. income – expenditure; and assuming negligible savings at the bottom of the pyramid. per square metre of useful light compared with typical Western standards of 300 lux for basic tasks such as reading. There is no convergence of living standards for those at the bottom of the pyramid. The second is that those with least access are disadvantaged on multiple fronts. Access to modern forms of energy is necessary for development. Access to resources such as water is necessary for basics sustenance which underpins development. Wide divergences in the access to drinking water across different income profiles are indicative of a serious structural deficit. This deficit has no doubt helped to perpetuate inter-generational infirmities. Table 3 shows that those with per capita expenditures greater than INR 100 (USD 1.8) a day are around two and a half times as likely to have access to drinking water within their premises as those in the bottom quartile assumed here (expenditure less than INR 28 (approximately USD 0.5) per day). Those at the bottom are much more likely to walk significant distances to access water than those at the top. There are multiple implications of such divergences in access, including on household productivity. whether primary, middle and secondary education actually offers productivity gains that are commensurate with the contextual imperatives for human capital formation given the scale and nature of poverty; and whether higher education or vocational education should be prioritised; the statistics in table 5 illustrate that there is a clear causality between income and education levels. Indeed, many studies have argued that this causality runs both ways. India is rated as having a moderate inequality relative to several other developing countries, with a Gini coefficient of 36.8 in 2004-05107. While the coefficient has likely worsened since then, India is leagues ahead of several other G20 countries, including the United States and China. However, the Gini coefficient cannot capture the nuanced trends of inequity, and the causal relationships that perpetuate it. 1. What is the threshold level of inequality for political and social stability? 2. How can policy interventions resolve the strategic, but not necessarily binary choice between generating employment and increasing productivity? Nearly 12 million people enter the Indian workforce ever year. A majority lack the skills to gain meaningful employment, and face an abject lack of access to decent work. As a result those at the bottom of the socio-economic pyramid are largely employed in the informal sector, without any form of job security or social security. The availability of productive and remunerative employment is central to enabling equitable growth. The Indian economy must employ a larger proportionate share of its workforce. In turn, minimum wages and domestic labour standards must be enforced universally; and the skills gap must be addressed through strategic emphasis on subsidised and targeted vocational education. The Indian economy relies asymmetrically on growth of the tertiary sector, particularly capital and skilled labour intensive sectors such as information technology which have not been able to bridge the systemic employment gap. Employment creation is a policy imperative for enabling equitable outcomes; and the revitalisation and reemphasis on the growth of the secondary sector is a necessary prerequisite for achieving broad based socio economic transformation. The industrialisation process requires a number of enablers, including improved infrastructure and service delivery; and the creation of a workforce with skill sets commensurate with a strategic vision for industrial growth. The competitive advantage of the Indian economy in the export sector remains largely untapped. With an export to GDP ratio of 16.5 per cent (in 2012), the Indian export economy has a vast potential. In this regard, high productivity, labour intensive sectors in particular demand a sustained policy focus. Greater integration with regional supply chains and increased leverage of regional trade agreements can provide the necessary momentum for secular growth of such sectors. Monetary policy, fiscal management and financial market depth must complement such growth. Policy Emphasis must be placed on facilitating access to markets with strong internal drivers demand. This will help the Indian economy to hedge against global demand volatility perpetuated by disruptive business cycles. The Southwards shift of Indian exports is a positive sign in this context. According to the Indian Exim bank, the share of Asia, Africa and LAC regions has increased sharply from 47% in 2001-02 to 62.7% in 2011-12; and the share of Asia has risen from 40% to 52% during this period. The equitable growth of the Indian economy will to a large extent be determined by the degree and nature of private sector participation. The virtual stagnation in the investment/GDP ratio (of which the private sector is a larger contributor than the public sector), which has grown by a mere 5 per cent since 2005-06 to 37.6 per cent in 2011-12, is indicative of inherent challenges. Greater participation of the Indian private sector can be driven by a better environment for doing business. Policy frameworks must address issues around corporate governance and labour reforms without compromising market competitiveness. Long term capital formation through increased participation in the financial markets must be prioritised. This will entail a broad based emphasis on imperatives such as financial literacy, financial inclusion, and investor protection. The nominal proportionate retail participation in the domestic capital markets is a cause of concern. Household savings must be productively and efficiently deployed in order to finance the widening current account deficit. Simultaneously, short term speculative participation must be offset by genuine market opportunities for growth. Commensurate emphasis must be placed on channelling global savings into long term asset creation in the Indian economy, with a supportive policy framework. Increased government emphasis on development of micro, small and medium enterprises as well as industrial clusters must be sustained despite political cycles. Policy disruptions can quickly reverse gains achieved over time, and political risk poses the greatest challenge to unleashing the entrepreneurial potential in the country. A coherent, inclusive and long term political vision must complement policy formulation. Robust legal frameworks must be employed to secure long term growth largely devoid of political risk uncertainties. The HUNGaMa Survey Report (2011) Naandi Foundation. Roemer, M., Gugerty, M. K. (1997), Does Economic Growth Reduce Poverty?, Harvard Institute for International Development, March. India Chronic Poverty Report (2011), Indian Institute of Public Administration. Mehta et. al. (2011), India Chronic Poverty Report, Indian Institute of Public Administration. Economic and Social Affairs (DESA) Working Papers, United Nation. Saran, S., .Sharan, V. (2012) Identity and Energy Access in India: Setting Contexts for Rio+20, Energy Security Insight, TERI, Volume 7 (1), January 2012.